CEDAR RAPIDS – A woman who laundered hundreds of thousands of dollars of drug money for her husband’s Iowa meth business was sentenced to three years in federal prison. Janeth Pineda, age 36, from Chula Vista, California, received the prison term after a July 12, 2018, guilty plea to conspiracy to commit money laundering. In a plea agreement, Pineda admitted that from the summer of 2013 through August 2014, she agreed with various people to launder drug money. Pineda’s husband, Michael Pineda, was the head of a drug trafficking organization responsible for bringing ice methamphetamine to Iowa from California. He instructed Pineda to open various bank accounts into which his Iowa drug customers would deposit drug money they owed to Michael. 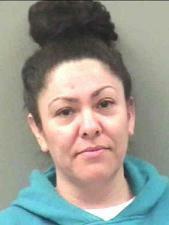 In less than two years, Pineda laundered more than $370,000 of drug money accounts she opened. Pineda was sentenced in Cedar Rapids by Chief United States District Court Judge Leonard T. Strand. Pineda was sentenced to 36 months’ imprisonment. She must also serve a two-year term of supervised release after the prison term. There is no parole in the federal system. She is being held in the United States Marshal’s custody until she can be transported to a federal prison. Michael Pineda has plead guilty to conspiracy to distribute methamphetamine and money laundering and is pending sentencing. 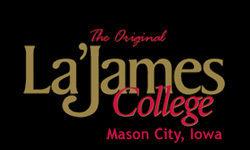 The case was prosecuted by Assistant United States Attorney Lisa C. Williams and was investigated as part of the Organized Crime Drug Enforcement Task Force (OCDETF) program of the United States Department of Justice through a cooperative effort of Federal Bureau of Investigation, Iowa Division of Narcotics Enforcement, and the Tri-County Drug Enforcement Task Force (Waterloo Police Department; Cedar Falls Police Department; Waverly Police Department; Bremer County Sheriff’s Office; Black Hawk County Sheriff’s Office; LaPorte City Police Department; Evansdale Police Department; Hudson Police Department). I agree, then throw all drug dealers over it, to mexico, that is. Three years is not enough for being involved in selling poison.